The enormous donation by US entrepreneur, philanthropist, conservationist and all-round global good-guy Howard G Buffett to help in the battle against rhino poaching has been greeted with no small amount glee in SA's corridors of power. But what difference is it really going to make? By SHARON VAN WYK. Early last year, having escaped the devastating floods in the northern section of the Kruger National Park by a whisker, I sat down with Dr David Mabunda, CEO of SANParks, and pondered the challenges being faced by him and his team as the scourge of rhino poaching continued to devastate the country’s flagship national park. He was faced with trying to keep SANParks staff strong enough to resist the seduction of easy cash in return for giving up Kruger’s rhinos. At that time the going rate for delivering rhino tracks was R30,000. All of Mabunda’s resources were taken up with the fight against poaching, to the detriment of every other aspect of running the biggest tourism attraction in the country, and the continent’s premier conservation icon. Everything he needed to do to gain traction in the ongoing battle revolved around money, or, rather, the lack of it. A year on and I have once more returned from Kruger, this time managing to avoid serious flooding in the south of the park. The war against rhino poaching has gotten worse, with no end in sight to the levels of carnage which seem to be spiralling ever higher. Million upon million is being ploughed into anti-poaching, but Kruger’s rhinos are still being slaughtered with apparent impunity. Which raises the question: is it really just an issue of money standing between us and the extinction of a species? It’s a question made more pertinent in the wake of the high-profile donation made by the Howard G Buffett Foundation, which last week threw a whopping R255-million into the pot to fund a three-year campaign in which new methods of anti-poaching will be tested for their efficacy and possible deployment elsewhere in Africa. 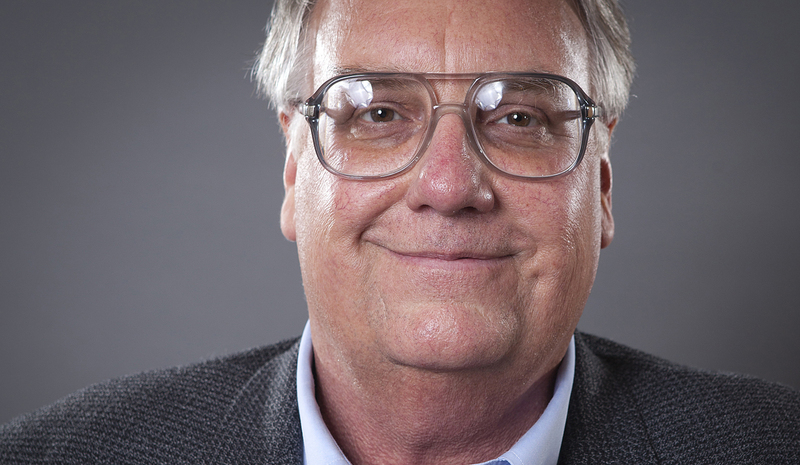 Howard G Buffett is no stranger to those who move in conservation circles. The eldest son of billionaire investor Warren, this former politician, farmer and businessman was giving back to people and planet when corporate social investment was nought but a glint in a spin-doctor’s eye. He’s pretty much the real deal when it comes to fighting the good fight for food and water security in Africa, overcoming poverty and saving endangered or at-risk species. His foundation set up the Nature Conservation Trust in 2000, which has since been working in Africa on projects to conserve nature, restore degraded land, ensure the long-term survival of cheetahs and other carnivores “in situ” and to support research and improved practices agriculture for smallholder farmers. Buffett is also a South African resident. What difference this pearl of information makes is unclear, but judging by environment minister Edna Molewa’s gushing public response to the foundation’s donation last Friday, the government is keen to leverage everything it can from the connection. And the money. Indeed, Molewa’s speech personally thanking Buffett could teach Pavlov’s dog a thing or two about salivation at the mere contemplation of a hearty meal. There’s nothing new in a government fawning over someone who has just done their job for them, but as the ANC eagerly chows down on Howard’s all-you-can-eat buffet of new ways to save rhinos, one can’t help but wonder if it will soon be reaching for the Rennies as its policy of “sustainable utilisation” rises up in protest. It’s this policy which has Molewa and her fearless leader, President Jacob Zuma, readying themselves for an assault on the Convention on International Trade in Endangered Species (CITES) to legalise trade in rhino horn. Buffett may indeed be spending his foundation’s money on saving Kruger’s rhino so that the government can cash in on them as it flogs off stockpiled horn and moves into the rhino farming business. To be fair the R255-million, which will effectively be using Kruger and its rhinos as a real-life laboratory for an innovative programme of high-tech protection techniques, is “neutral” funding, but Molewa was careful to avoid dwelling on “sustainable utilisation” in her speech, in spite of the perfect opportunity it presented her with to push the government’s policy and the widely criticised and seriously flawed pro-trade proposals. Instead, she briefly referred to the “sound principle of sustainable utilisation of our natural resources” which, she said, has always guided the government’s policy positions at home and in its international engagements, before launching into a somewhat self-congratulatory back-slapping, lauding the success she says South Africa has had in combatting the illicit wildlife trade on the political front. And it is this aspect which really holds the key to answering the question of whether money alone will save the rhino. What, specifically, has the government achieved in its efforts to combat rhino poaching at a political level? “Good progress” is being made, says Molewa, on the implementation of the Action Plan on Co-Operation in Biodiversity Conservation and Protection signed between South Africa and Vietnam in May 2013, five months after the “successful” conclusion of a Memorandum of Understanding between the countries in December 2012. What, specifically, is “good progress”? Is it the fact that a “high level” Vietnamese government delegation is about to hit our shores later this month for a “study tour”? Molewa also points to various international co-operation agreements the government has initiated with countries such as Mozambique, Laos, Thailand and Cambodia. The fact remains that the agreement with Mozambique – acknowledged as pivotal in the current crisis – has yet to be signed. Why, logic implores, has this not been done? And what of China – the lynchpin of it all? Don’t panic – work to finalise the Implementation Plan putting into action the terms of the MOU signed between South Africa and China in 2013 relating to wetlands, desert eco-systems and wildlife conservation is also “progressing well”. Is this really the sum of South Africa’s political assault on those who would wipe out our rhino, which represent 80% of the species left on this continent?